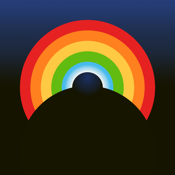 "Luxuria Superbia is a bright, vibrant game that will make you smile as much as it will make you blush." - Stimulating fun that brings you an experience of joy and happiness. - Dynamic music by Walter Hus responds to your every touch. - Playful, sensual interaction with lush colorful levels. - The game engages with you –alone or with a friend– as an encouraging partner.